With more than 50 years of combined experience in HTST (Flash) and ESL pasteurization the ApoWave Flash Pasteurization System incorporates the latest technology and the highest sanitary standards on a new pasteurization system for beer. Adjustable back-pressure valve for pasteurization of beers with different levels of carbonation. Built using high-quality equipment that meets and displays the 3-A sanitary standards. High-capacity sanitary centrifugal booster pump and rotary positive displacement timing pump to achieve the required pressures without stressing the beer. 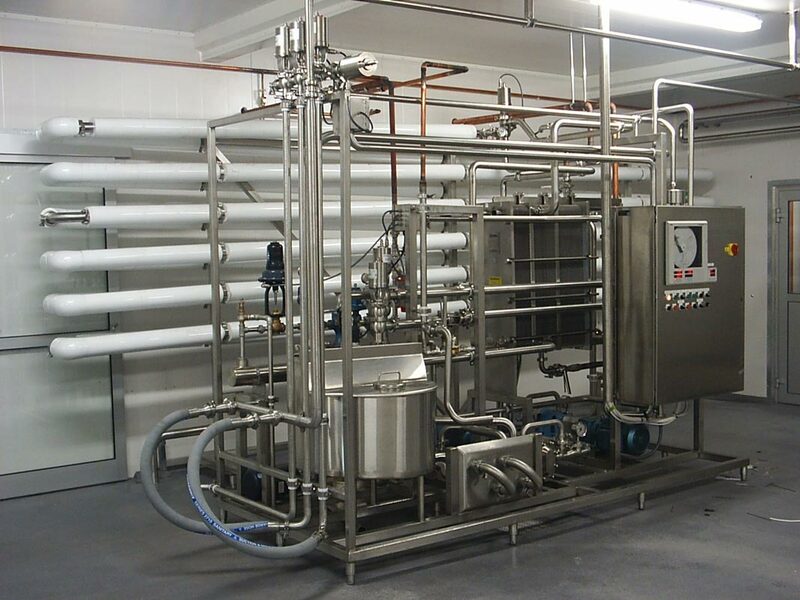 Self-cleaning pasteurization system with integrated Clean In Place (CIP). Electrical heating option for small systems. Pre-assembled and tested for quick and easy installation. Capacities from 5gpm (10 bbl/hr). Contact us today learn more about Apotek and our services.